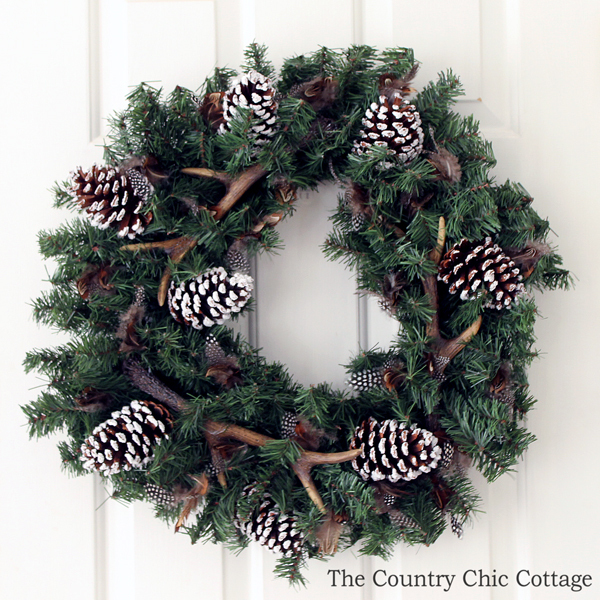 You are here: Home » wreaths » Fall Wreath – a quick and easy idea! Fall Wreath – a quick and easy idea! This fall wreath is quick and easy to make and perfect for your home decor. I love a project that only takes 5 minutes and this is one of those. Grab your supplies and get started today! I have a secret as to why this wreath only takes 5 minutes to make and you are going to love it. This post is sponsored by Old Time Pottery however all projects and opinions are my own. 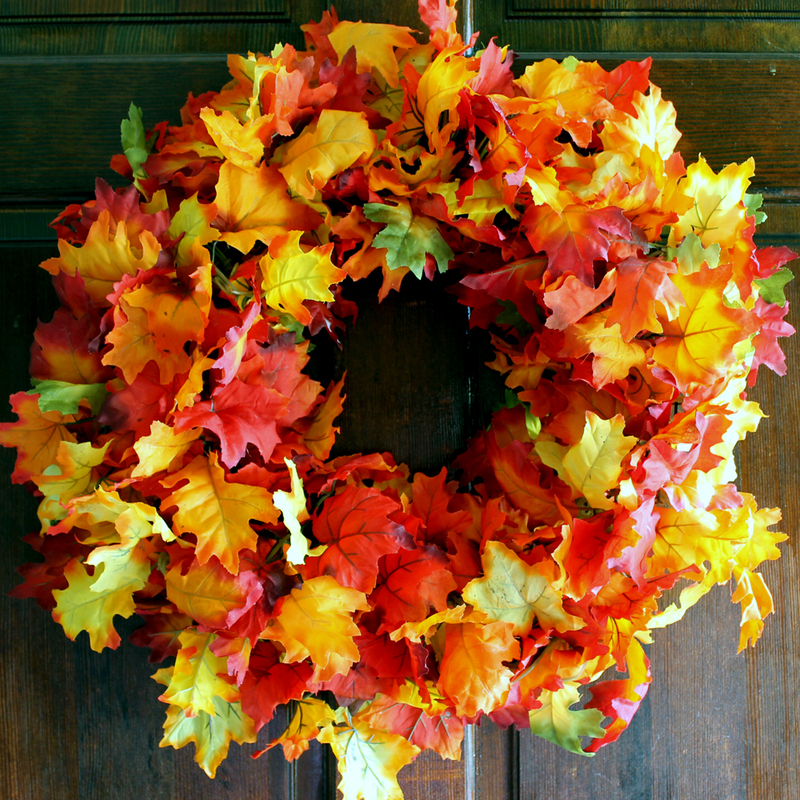 Want to know the secret to making this fall wreath in just 5 minutes? I know you are curious! Just click here and head over to Old Time Pottery to see the magic happen. There I will tell you the supplies to use as well as give you step by step instructions on making this fall wreath. Trust me….you want to whip one of these up for your front door this fall. Want more ideas for fall wreaths? I have those for you as well! 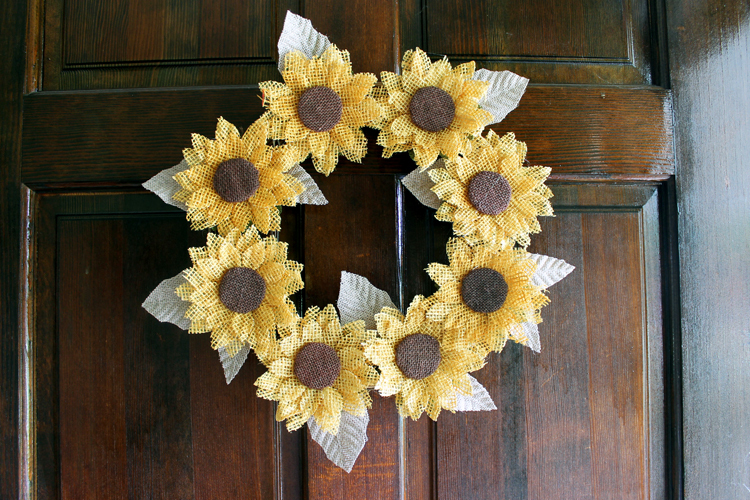 Click here to see how to make the burlap sunflower wreath below. I love burlap and sunflowers for fall and this gorgeous wreath mixes both. 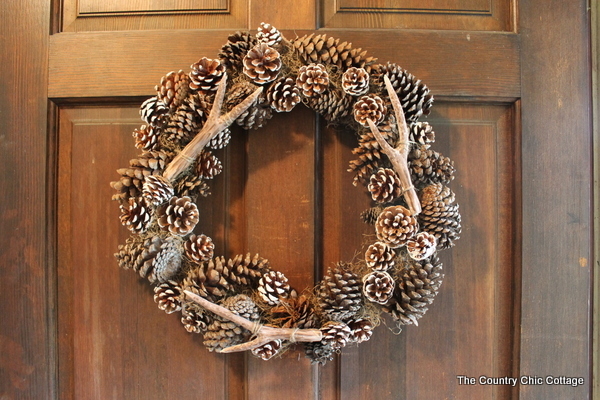 Want a wreath that you can leave hanging for a few seasons? Try this knock off antler wreath. It is perfect for fall through winter. Add a bow in a seasonal color if you would like. You can actually make your own antlers from clay so this is one affordable option as well. Don’t love all the pine cones on that version? I have another antler wreath that you may like better. This one has a link to purchase antlers if you are not wild about making your own. Hopefully you can find a wreath that will be perfect for your home from these options or check out this list of 50 fall wreaths. 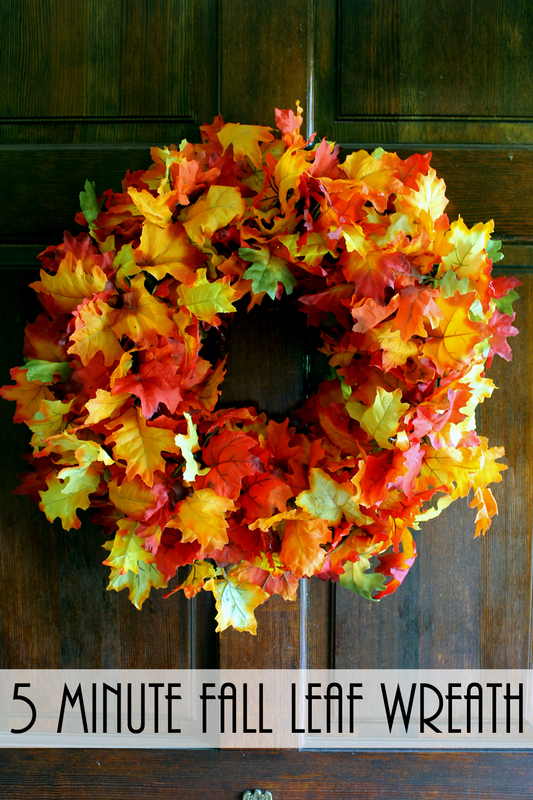 Make a fall wreath and hang it on your front door! You will love the seasonal touch that the wreath brings to your home as guests arrive. The first wreath I ever made looked very similar to this! I love all of the beautiful fall leaf colors!